Ashford offers an up to 50% off+extra 20% off Rado Breitling Bvlgari & More Watches via coupon code "SPRING19". 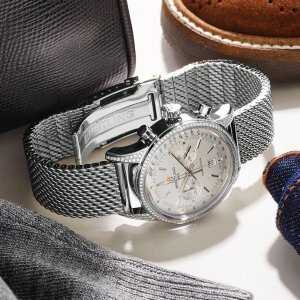 Ashford offers an extra 20% off BREITLING Transocean Chronograph 38 Men's Watch A4131063-G757-171A for $5995.20 via coupon code "SPRING19". Ashford offers the RADO Centrix Men's Watch R30079152 for $599.99 via coupon code "DMRC600". Features: Yellow gold PVD stainless steel case with a yellow gold PVD stainless steel bracelet with black ceramic inserts. Date display at the 3 o'clock position. 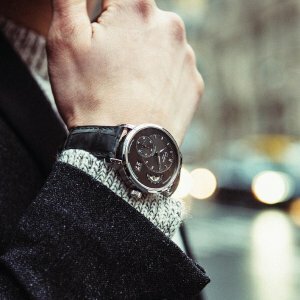 Rado calibre 763 (ETA C07.611) automatic movement with an 80-hour power reserve. Scratch resistant sapphire crystal. Transparent case back. Case size: 38 mm. Water resistant at 30 meters / 100 feet. 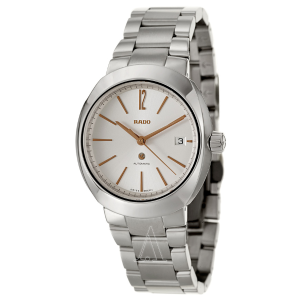 Ashford offers an extra 20% off Rado Women's Diamaster Watch R14063727 for $889 via coupon code "SPRING19". 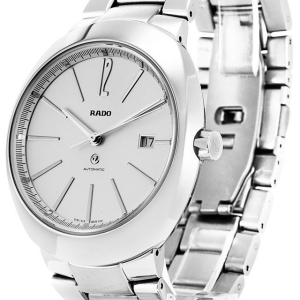 Ashford offers the lowest price Rado Men's D-Star Watch R15329103 for $429.99. 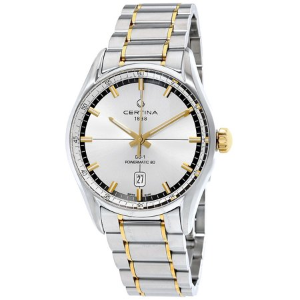 Ashford offers the Glashutte PanoMaticLunar XL Men's Watch 90-02-33-14-05 for $9588 via coupon code "DMGLPML9". 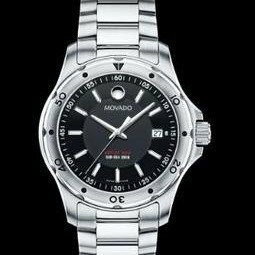 Ashford offers the lowest price Movado Men's Series 800 Watch 2600074 for $289 via coupon code "AFFS8289". 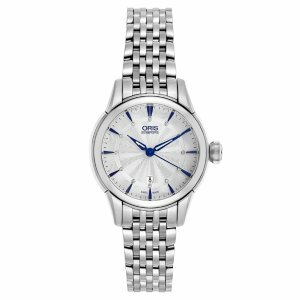 Features: Stainless Steel Case, Stainless Steel Bracelet, Swiss Quartz (Battery-Powered), water resistance 200 m (660 feet). 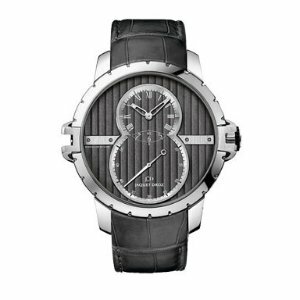 Ashford offers the Jaquet Droz Men's Grande Seconde SW Watch J029020243 for $5800.00. 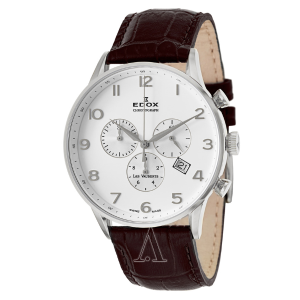 Ashford offers the lowest price Edox Men's Les Vauberts Chronograph Watch 10408-3A-ABN for $199 via coupon code "SPRING19". 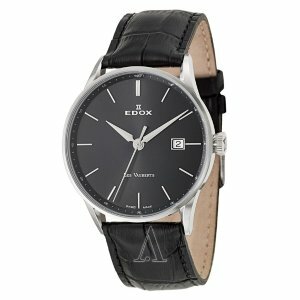 Ashford offers an extra 20% off Edox Men's Les Vauberts Day Date Automatic Watch 80081-3-NIN for $245 via coupon code "Spring19". 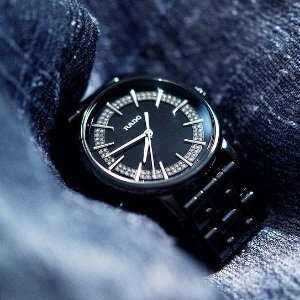 Features: Stainless Steel Case, Leather Strap, Date at 3 o'clock, Date at 3 o'clock, Swiss Mechanical Automatic (Self-Winding), Sapphire Crystal Scratch Resistant, Water Resistance: 50 m (165 feet). 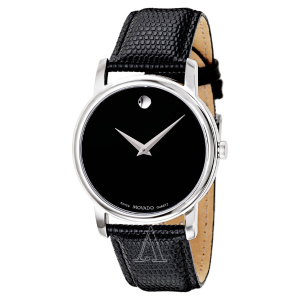 Ashford offers the MOVADO Museum Black Dial Black Leather Strap Men's Watch 2100002 for $169. 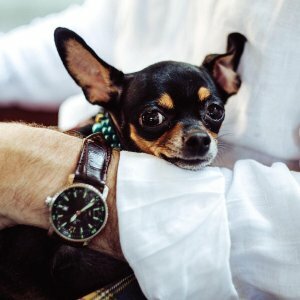 Features: Stainless steel case with a black leather strap; the signature movado concave dot appears at the 12 o'clock position hour markers; Swiss quartz movement; scratch resistant sapphire crystal; case size 38 mm; water resistant at 30 meters. Ashford offers the Movado Men's Defio Watch 0606333 for $279.00. 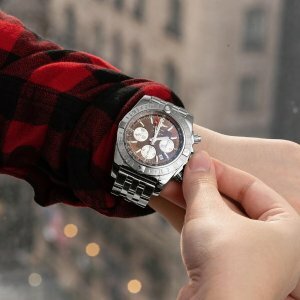 Features: Stainless Steel Case, Stainless Steel Bracelet, Swiss Quartz (Battery-Powered), Water resistance 30 m (100 feet). 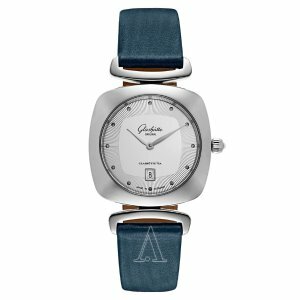 Ashford offers an extra 20% off Certina Men's DS 1 Powermatic 80 Watch C029-407-22-031-00 for $299 via coupon code "SPRING19". 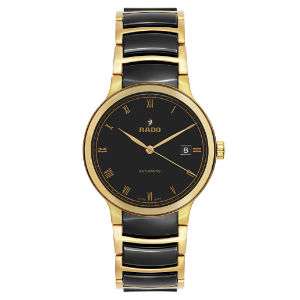 Ashford offers the Rado Men's D-Star Watch Model: R15513113 for $469 via code "HELLO19". 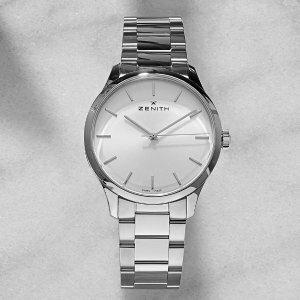 Ashford offers an extra 20% off ZENITH Port Royal Men's Watch 03-5010-2562-01M5010 for $2200 via coupon code "SPRING19". 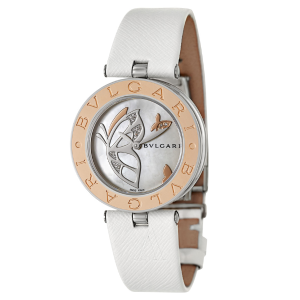 Ashford offers an extra 20% off Bvlgari Women's B-Zero 1 Watch BZ30BDSGL for $2300 via coupon code "spring19". Features: Stainless Steel Case, Leather Strap, Swiss Quartz (Battery-Powered), Sapphire Crystal Scratch Resistant, White Diamonds decorates butterfly; Water Resistance: 30 m (100 feet). 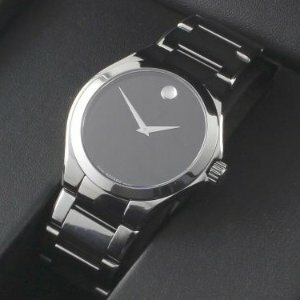 Ashford offers the Movado Men's Circa Watch 0606804 for $489. 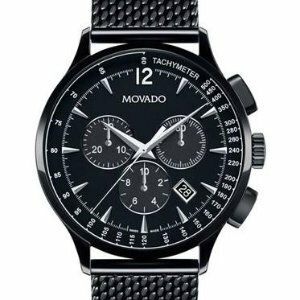 Features: Movado, Circa, Men's Watch, Stainless Steel Black PVD Coated Case, Black Stainless Steel PVD Coated Bracelet Mesh Style, Swiss Quartz (Battery-Powered), water resistance 30 m (100 feet).